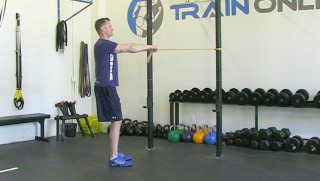 Start in a standing position while holding a resistance band in each hand. 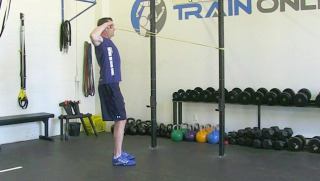 Pull your elbows back and up and try to keep your elbows and wrists above your shoulders. 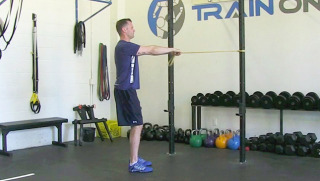 Extend your arms back to the starting position and keep tension in the resistance band.